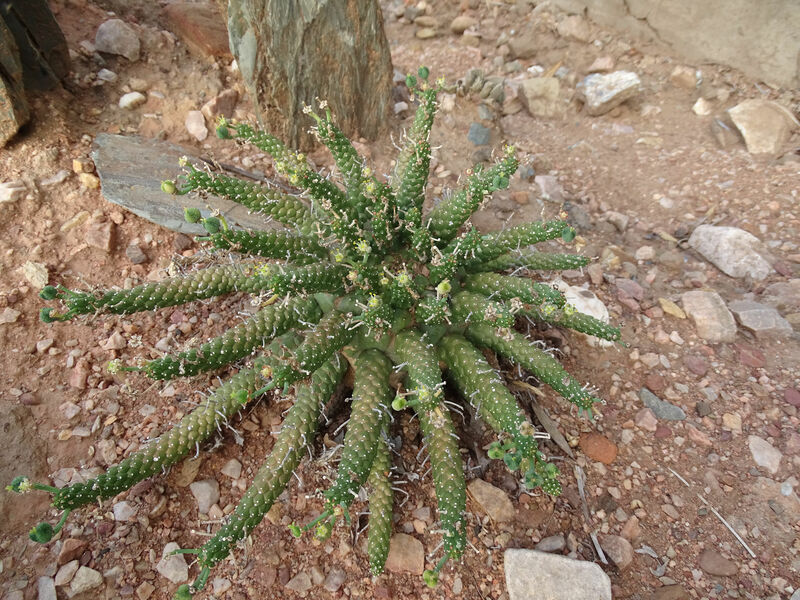 Our own Calitzdorp Euphorbia. Euphorbis gamkensis grows a large, more or less cylindrical underground caudex that may exceed 6 cm in diameter. Above-ground, a few rows of outwardly pointing thick, succulent stems grow on the often flat green top of the caudex. The outer row of stems are the longest, the oldest; new stems emerge in the centre as the plant grows in width. Scattered whitish stalks can be seen on the older stems where small greenish-yellow cyathia had bloomed in the past. The stems are covered in rhomboid tubercles, small rounded sections that bulge on the stems and multiply as new ones emerge from the centre at the top. The top parts of the stems are the greenest here, being the youngest. 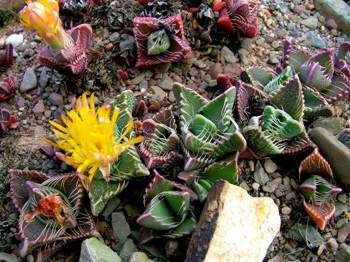 This species has only been known since about 1999 when it was discovered near Calitzdorp in the Little Karoo and described by Gerhard Marx. 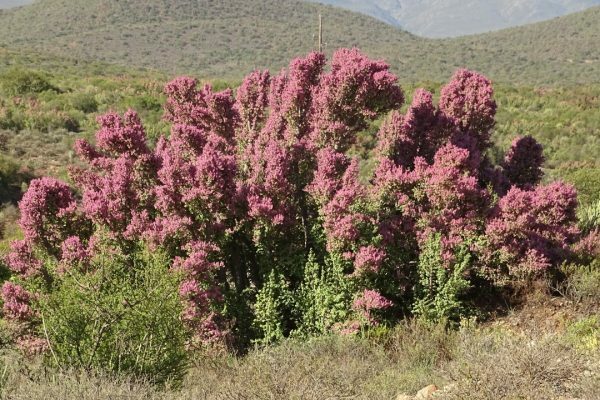 It is extremely rare, found growing in farm soils near Calitzdorp to Oudtshoorn. It appears to be easy to grow. 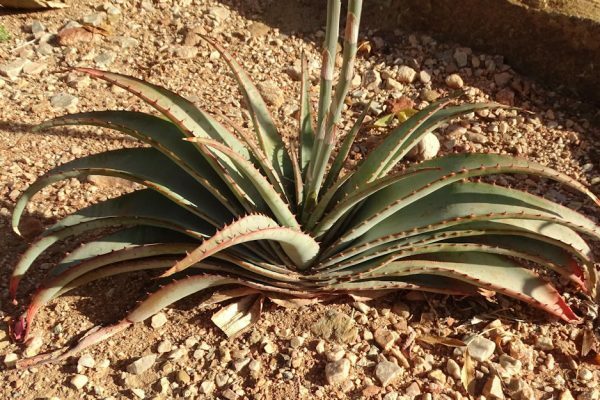 Planted is well drained soil and given some shade from the sun during the hottest days in the Klein Karoo.